How To Feel Your Best During Flu Season - Boost Your Immunity! As much as I hate catching a cold, the flu is so much worse. It’ll pretty much knock you off your feet for days on end, and unfortunately we’re fast approaching the months when it spreads like wildfire. 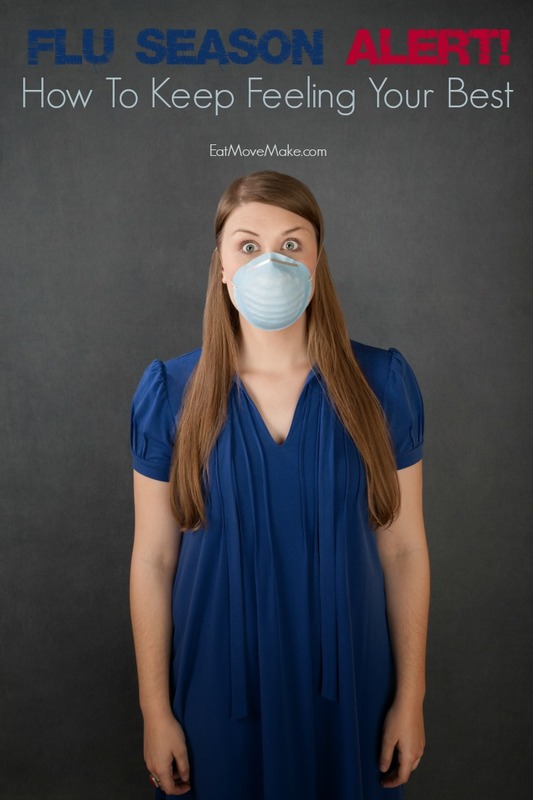 Since none of us wants to get sick, let’s talk about how to feel your best during flu season! The CDC recommends that everyone over the age of 6 months should receive an annual flu vaccine, and it’s best to vaccinate early in the season, so that by the time the flu virus is in full force, the antibodies from the vaccination will have fully developed their protection. This seems so obvious, but every time I’m in a public restroom and see someone walk out of a stall and right out the door, I realize there are still people who haven’t learned the importance of hand washing. #1 Do it, and do it a lot. #2 Use soap (not just water), and spend at least 20 seconds lathering your hands on both sides, between your fingers and under the nails. I’m convinced keeping my hands away from my face has made a gigantic difference in how often I get sick. An innocent nose scratch or eye rub is all it takes to let nearby germs move in. When I stopped touching my eyes several years ago, I stopped getting sick. Seriously. Although our bodies get many necessary vitamins through food, taking a multi-vitamin can act as extra insurance. A couple weeks ago, I talked about the value of vitamin C for immunity health, but vitamins B6 and B12 play an important role in immunity health as well. They help the body use energy efficiently, which is essential for converting carbs to glucose, and glucose serves as our main source of energy! 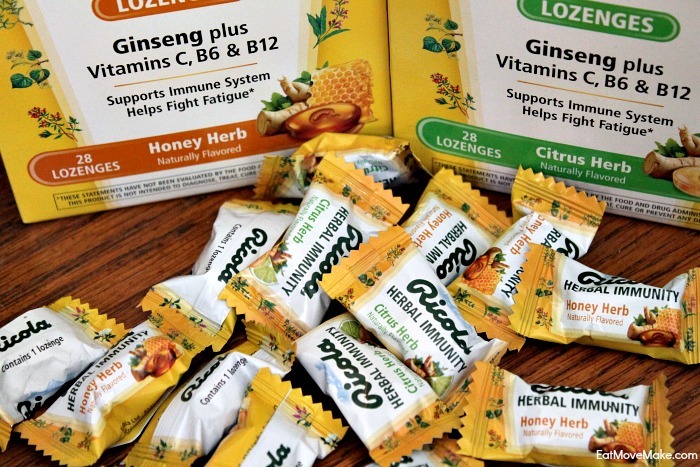 The Ricola Herbal Immunity lozenges I’ve been talking about lately not only contain vitamin C, but vitamins B6, B12 and glucose as well, so having a stash of them on hand is a good idea. I keep a box at home, but I also throw a handful in my purse for travel. I love how it helps me fight fatigue and keep my energy up. This isn’t always easy, but try! The surfaces people touch frequently, like light switches and door knobs, are a breeding ground for germs, so whether home or away, those are places that need to be disinfected regularly. When staying in hotel rooms, remember to sanitize the entry door handle, light switches, lamp on/off buttons, remote control and even the phone if you happen to use that. Be sure to get regular exercise (at least 30 minutes of moderate activity five times a week), and allow your body to reenergize properly with a full eight hours of sleep each night. We all lose a few hours from time to time, but doing so repeatedly wears the body down and leaves you more susceptible to illness. 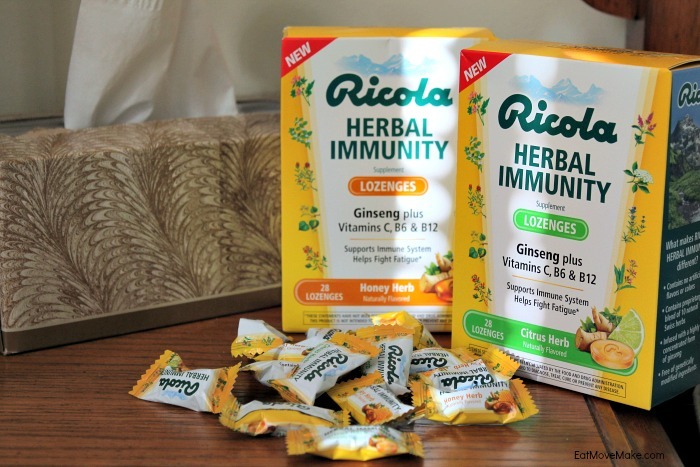 Besides the vitamin boost mentioned above, Ricola Herbal Immunity is the first widely available immunity product in the US that fights fatigue, while also supporting the immune system. The recommended use for adults and children 4 years and above is 4 drops daily for 7 days, which will give maximum potency. New Ricola Herbal Immunity is available in two varieties: Honey Herb and Citrus Herb.They contain no artificial flavors or colors and are free of genetically modified ingredients, so you can feel good about taking them. They also taste good! 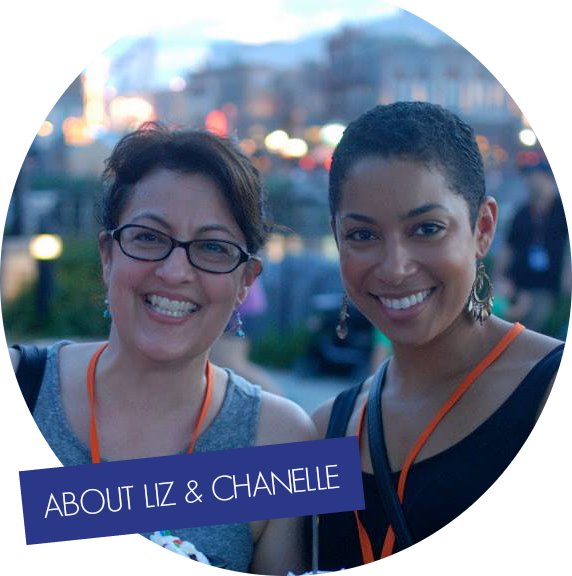 I hope these tips on how to help feel your best during flu season help! Here’s to staying healthy and energized all season long!